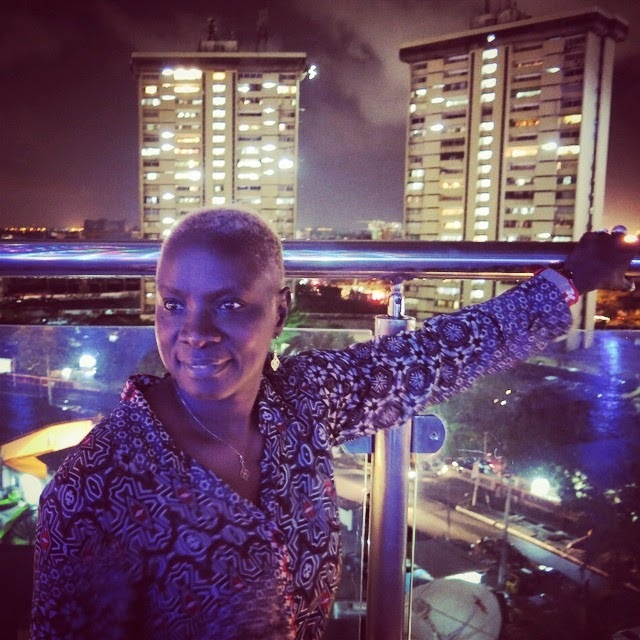 2-time Grammy award winner, Angelique Kidjo arrived Lagos yesterday 14th March 2015 ahead of her performance at the grand finale of the second edition of Etisalat Prize for Literature Today, Sunday, March 15th 2015 at Intercontinental Hotel, Lagos. 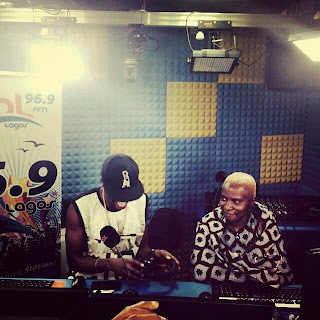 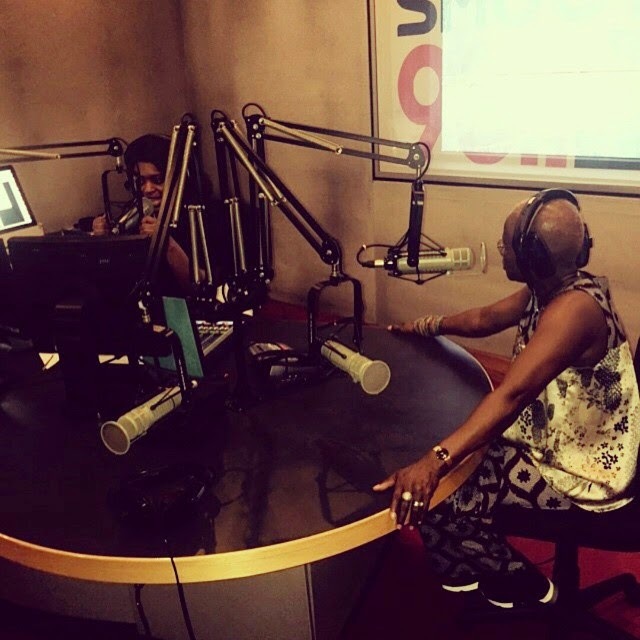 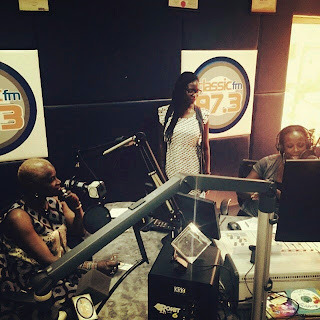 Upon her arrival, the ‘Agolo’ and ‘Mobolombo’ hit maker went on a media tour in different radio stations in Lagos including Cool FM, Classic FM and Smooth FM. 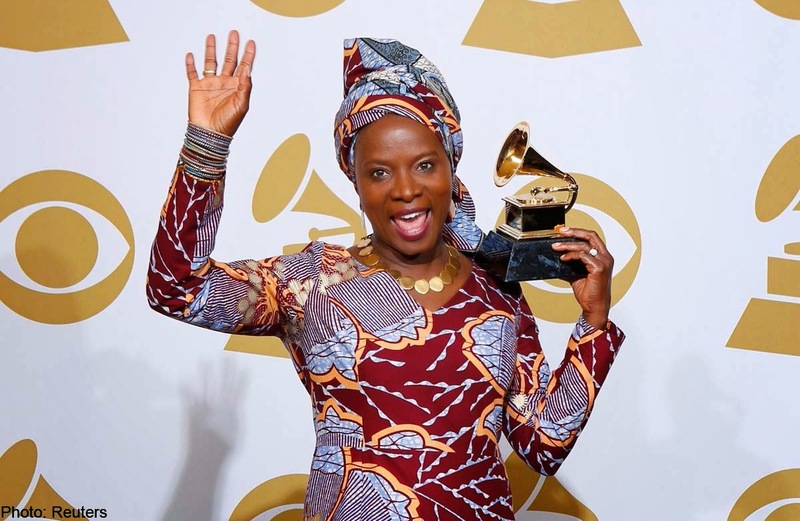 She will be one of the major centre of attraction at the award which will see one African among the three finalists shortlisted win a whopping sum of £15,000 and a high-end device, in addition to a book tour to three African cities. 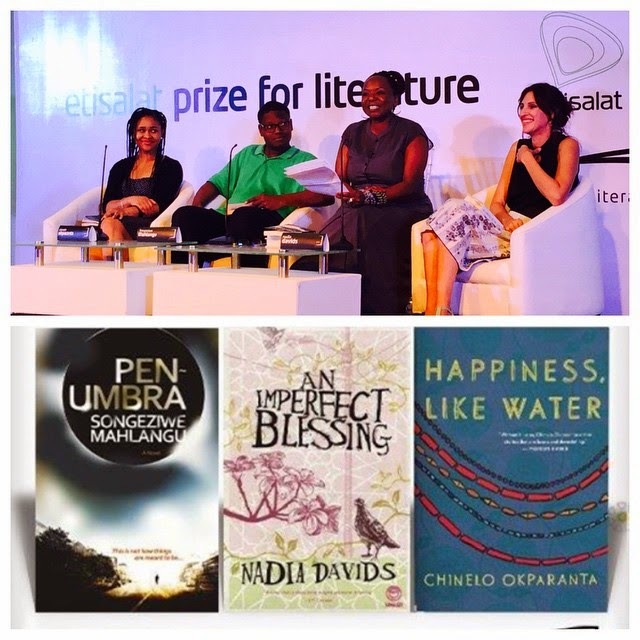 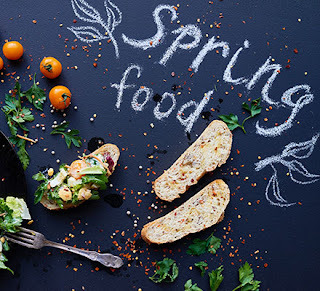 The three finalists, Songeziwe Mahlangu (South Africa), Chinelo Okparanta (Nigeria) and Nadia Davids (South Africa) also gave a review of their books at the recently held book reading and signing for Etisalat Prize for Literature competition.